The new Bundesliga season is upon us. We can all recite the most likely title contenders even in our sleep; Bayern Munich and Borussia Dortmund. Instead of focusing on their conventional strengths, I want to zero in on the quality of young players they have at their disposal. 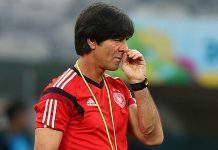 Both teams have contributed greatly to Germany’s era of revamped academy football and youth production. They also have perhaps the hottest Under-21s in the league, Joshua Kimmich and Julian Weigl. Each of them a testament to the ever evolving Regista role, the duo certainly represent a new chapter in hostilities between both clubs. Rottweil-born Kimmich has been certainly interesting to watch. His versatility in both attacking and defensive phases of play is amazing. This much was evident at Euro 2016. The traditional defensive midfielder played at full back. 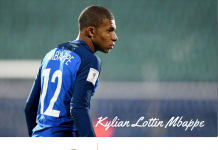 Last season he played in central defence for his Bavarian side before getting a national team nod for the summer tourney. 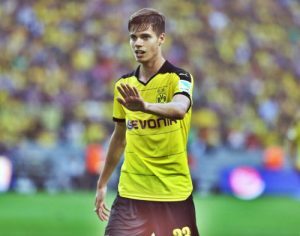 Weigl is a whole year younger but that has hardly stopped him. The calm ball winner has shown how brains can conquer brawn over and over again on the pitch. Initially pencilled down as one for the future, he ultimately proved to be a vital part of Thomas Tuchel’s plans. He played 30 league games for Dortmund, aiding the cause that saw the Yellow Wall revel in a Runners-up finish. He also broke the league record for touches in a game, totalling 212 of them in May while playing against Koln. How do both compare? Well, goal scoring is not a skill set they both possess, at least not yet. This would hardly trouble their managers. There are others ready to deliver the goods in that regard. Both have shown commendable ball retention abilities as well as spatial awareness so early in their careers. Surely a commendable trait in today’s game. Now remember, Claude Makelele? Yes. The legendary midfielder who turned out for Real Madrid and Chelsea (notice I did not mention Nantes, Marseille and Celta Vigo. It’s the same reason nobody really mentions Thierry Henry at Juventus or Monaco). If he got away with his “remarkable” goal tally (0 league goals for Madrid, 2 for Chelsea and 1 for PSG) then both young Germans are in very good company. The Bundesliga Hall of Fame could very well be beckoning. The pair’s obvious technical gifts are exciting. It’s almost as much as finally getting a date with a long-time crush or having a debtor pay up at the most unexpected time. We have Tuchel and Pep Guardiola to thank for this. The hipster gaffers both place a premium on ball possession and as such Kimmich and Weigl became integral to their systems. There is a lot to watch out for in the 2016/2017 Bundesliga season but very few as eyecatching as these young midfielders. Don’t miss out on such a delight. Previous articleWhich is the Best League in the World, Really?